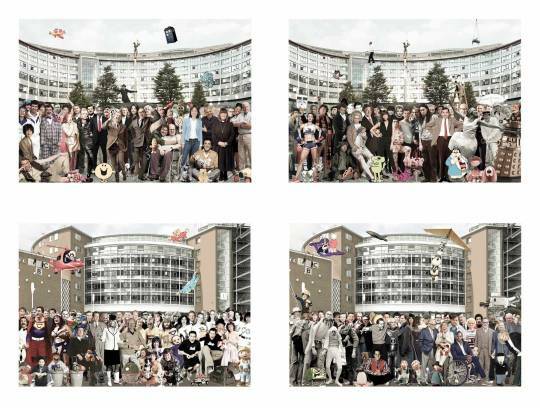 We are excited to present a number of new editions by Peter Blake including the ‘BBC’ series, 'Tattooed Ladies’ and 'Ghosts’ prints. Launched at the London Original Print Fair back in May, these prints are available to purchase on our website! 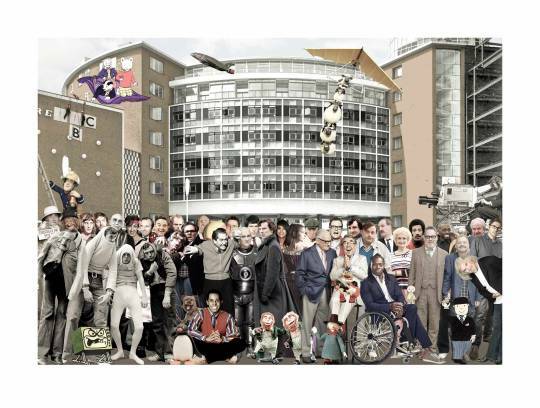 Returning to his distinctive style of collage, Blake sees four of his newest editions featuring the now-repurposed BBC building 'Soho House’ surrounded by much loved actors, television personalities and children’s characters. 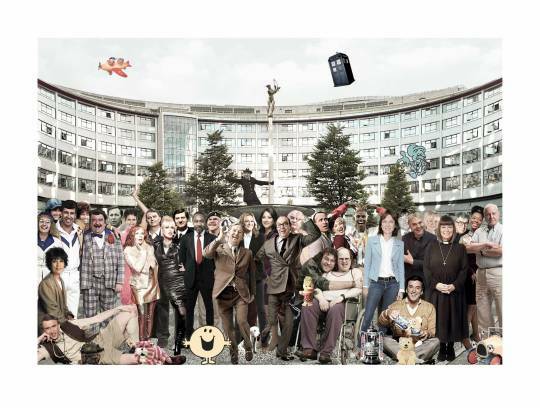 Spanning a number of decades, the crowds include comedians Morecombe and Wise, the late Sir Terry Wogan and athlete Jessica Ennis-Hill as well as characters Rupert Bear and The Magic Roundabouts’ Florence and Dougal. 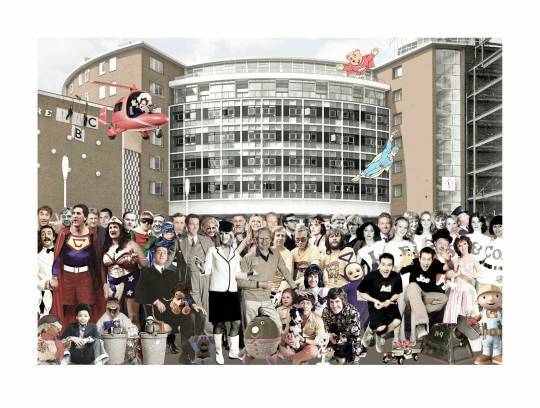 See who else you can spot! 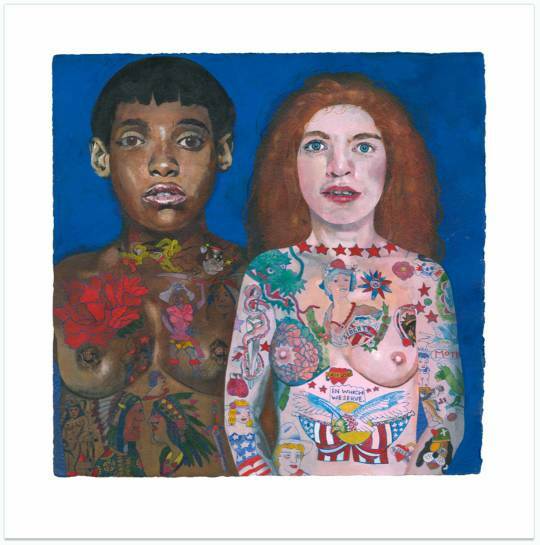 A charming illustrative inkjet print featuring two tattooed ladies, in a limited edition of 50 prints. Watercolour portraiture has long been central to Blake’s work, and he has released several 'tattooed people’ artworks in his time. 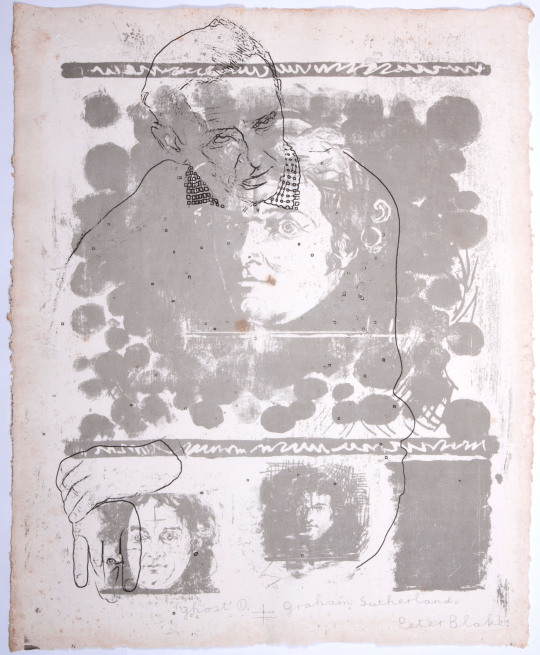 Exploring the art of lithograph stone printing, Blake has created two limited edition prints paying homage to artists Barnett Freedman and Graham Sutherland. 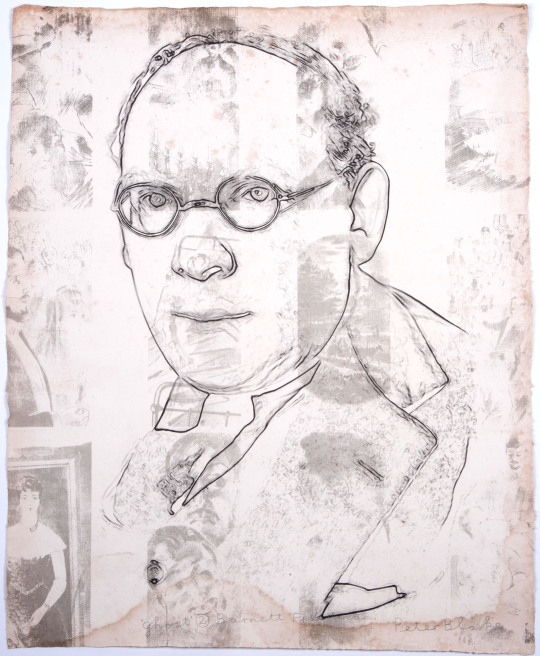 An avid collector of found art, Blake’s interest in arcane and unusual objects such as cigarette packets and match boxes has long been seen in his artwork. Returning to his fascination with historic items and the beauty of found objects, the ghost artworks have been created using vintage lithograph stones to create the layers of the background, imprinting the stones’ history and revealing artwork from years passed. The result is classical and curious. 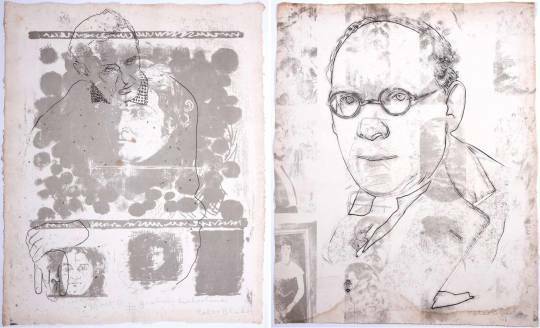 Printed on vintage paper, these lithograph prints have a naturally charming sepia toned discolour and decalled edge. Printed at The Curwen Studio.